Have you ever wanted a peek into the mind of Bobby Singer? A chance to share in the knowledge he’s gained over the years hunting and researching the supernatural? Well, if so, you’re in luck because Bobby Singer’s Guide to Hunting is on shelves now. Inside you’ll learn more about the man Dean and Sam Winchester call their adoptive father and be a bit more prepared when monsters come knocking in the middle of the night. 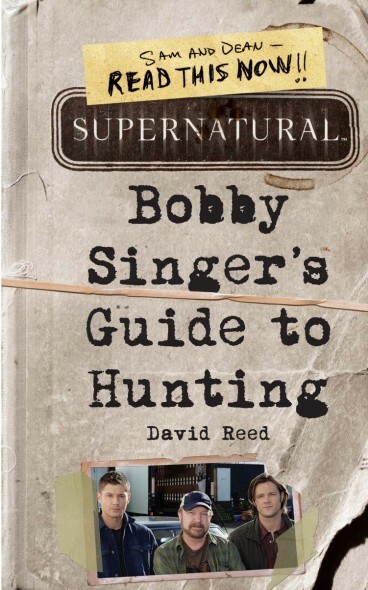 When I first heard of Bobby Singer’s Guide to Hunting I thought it would be a manual, a journal of sorts in the vein of The Supernatural Book of Monsters, Spirits, Demons, and Ghouls or John Winchester’s Journal. Not so. This is more like a novel from Bobby’s perspective. We are presented with a case, Bobby’s last case if he doesn’t figure out the clues soon. He was on a job, then woke up in his house without a clue how he got there. Even worse is that he’s losing his memories. Yes, Bobby Singer, the man who a good portion of the hunting community relies on for his knowledge, is slowly losing it. And this book is meant to recount what recall he has left so that all that wisdom and history doesn’t go away if he does. It’s an ingenious set-up and one I was drawn into. Bobby’s a character that I love and always wanted to know more about. His background is one of the big mysteries of the show, so any little tidbit we get just leaves us wanting to know more. This book serves to fill that gap. 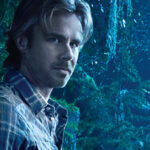 We learn more about his pre-hunting life with Karen, as well as his relationship with Rufus. In fact, we learn a whole lot about Rufus and Bobby’s ups and downs over the years. That case in Omaha that Rufus will never forgive him for? Yeah, that’s important. Seems Rufus had a girlfriend and a daughter, but Bobby’s actions put his daughter in danger and got her killed. It’s not something you get over easily, or at all in this case. Rufus will never forgive Bobby for what he did and Bobby will never forget, unless this case takes all his memories. I was particularly fond of the rules section of the book. These are words to live by that Rufus taught Bobby and many hunters learn themselves. In fact, John Winchester has been known to abide by the code, as we learned on the show. They’re simple and should be memorized, because not doing so could kill you. It is what it looks like. Know them better than they know you. Never hit the same town twice. It ain’t dead till it’s in five pieces. The tidbits about the Winchesters are wonderful. Seeing John and the kids through Bobby’s eyes, seeing Sam and Dean grow up into the men they became because of or despite John’s parenting, it’s fascinating. Also, we get more explanation of just why Bobby’s last interaction with John ended in Bobby chasing him off his property with a shotgun. You know you’ve always wondered the story behind that. And as a twist, an accompaniment to the familial bond that Bobby has developed with the boys, we learn the truth behind Karen’s last secret and why Bobby could never have the one thing he’s always desired. It’s heart-breaking, but it makes so much sense with who Bobby is now. If you’re a fan of Supernatural, of Bobby Singer or Rufus Turner, or simply a fan of all that knowledge Bobby’s gained over the years, then this is not a book to miss. Of all the Supernatural books I’ve read, this is one that I know I’ll be reading many more times. The richness of its history makes you want to commit it to memory. It may well save your life some day.